Polly Walker stars in PENNYWORTH as “Peggy Sykes,” one of Lancashire’s busiest and most successful Dominatrixes. The sensible matriarch in a family of maniacs, Peggy is fiercely loyal, endlessly resourceful, and lives by her own strange but rigorous moral code. A good friend and a terrible enemy…. 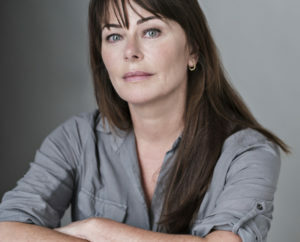 Polly Walker is known for her roles in LINE OF DUTY, PRISONERS’ WIVES, and previous work with Bruno Heller on THE MENTALIST and ROME.